Drop shipping isn’t all fun and games. There are a fair few issues that could possibly arise. Here are some problems and their solutions that will help you in your business. The backbone of a successful business is good customer service. Responding to client queries on time is key in building a positive brand image. Unfortunately, the nature of drop shipping doesn’t allow this. You will be answerable to your customers without having first hand knowledge yourself. You won’t know when exactly the order will ship, when the order will arrive, why is there a delay, etc. You’ll have to forward the queries to your suppliers, wait for a response, and then answer your client. To handle this, all you can do is make sure you choose a trustworthy supplier. Other than that, there isn’t much control you have here. Drop shipping businesses run on the concept of buying at wholesale rates and selling at regular prices. This is how drop shipping businesses earn profits. However, if you look from the suppliers’ point of view, this method is rather unprofitable for them. You’re not technically buying products in bulk. Instead, the supplier is sending out one or two items at a time. Finding suppliers who are okay with this model and still agree to sell on wholesale prices is hard. The solution here is to research hard. 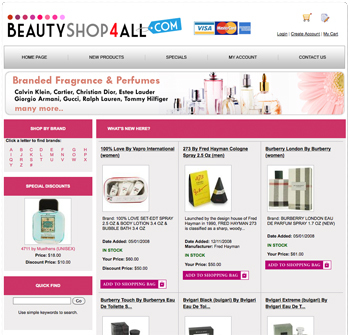 There certainly are wholesale suppliers who work happily with the drop shipping model. Wholesale2b is a good option to consider. You won’t have to face this challenge as such if you choose them. Online shopping has earned the trust of people due to one basic feature; guarantee of return. If people don’t like the quality of what they chose unseen, they can return the product to get their money back. Similarly, this process also covers the cases in which the product is faulty or damaged. In drop shipping, the client will demand the refund from you. However, you’ll have to make sure you get your money back from the supplier too. The chain of communication is longer and the process is slower. Once again, your solution is to opt for a supplier who’ll deal with such situations professionally. The suppliers you bag won’t be providing the items just for your online store. There will be tens, sometimes even hundreds, of other stores selling the exact same product as you. This high competition may force you to narrow your profit percentage. Sometimes, you may even find competitors who will be selling the product at a price that would bring a loss to you. To tackle this challenge, you need to do two things. First of all, decide a store niche that is relatively unique. You won’t have to worry about the excessive competition and people will be attracted to the different items on your store. Secondly, don’t compromise on the supplier. Choose the best of the best, and the best isn’t always the cheapest. Dive into drop shipping businesses with these challenges in mind. Better cautious than sorry! Drop shipping businesses are expanding all over the world. They are super easy to set up. In the excitement and hurry to start your own drop shipping business, don’t forget that there are a few legal requirements you must fulfil. Fulfil these requirements to keep yourself from any trouble in the future. Any business that sells tangible products requires a number of licenses. Even if you’ll be operating the business from a single website from within your home, you’ll need a registered office location. You will have to decide a business name and get that registered. Then, you’ll have to go to your local county. This will be the county that is connected to the office address that you registered. After getting the country license, you’ll have to get the city license. Unless your registered address is in an area that comes under no city, this license is a must have to operate a legal business. Lastly, you will need a reseller’s license. This will allow you to sell products via drop shipping which is basically reselling in the simplest terms. These licenses can be obtained rather easily. Make sure you keep getting them renewed whenever they expire to steer clear of legal trouble. A tax ID number (TIN) or Employer Identification Number (EIN) is a must have document for any business that is going to hire employees. You might not need it if you plan on running the business on your own. However, we would recommend you to still get one for future safety. This number will be needed for business bank accounts too. You can get your TIN from IRS. A lot of people tend to forget this basic requirement. You’ll need specifically a business account for all your transactions. Opt for a bank that offers online banking for your convenience. Moreover, keep preparing your account to meet the requirements of a business credit card. Opening a bank account will be troublesome if you’re not a US resident. They usually approve the opening of the account but later on, under Patriot Act, FBAR, FATCA, BSA, and hundreds of other laws, they might close your account. There is nothing illegal about your accounts yet, you may have to suffer loss. You can use VPNs while logging into your accounts from abroad to prevent this issue. After every sale, the ecommerce company you partnered with will deposit money in your account. By default, this money is deposited in your name even though it is not all yours. Overtime, such huge amounts of transactions will become red flags for the authorities. To keep yourself from legal trouble and baseless suspicions, make it clear with the ecommerce platform to deposit money in the name of the company. Lastly, make sure in the process of building your own business, you don’t intentionally or unintentionally replicate someone else’s website. From branding to design to aesthetics, keep everything original no matter how hard you have to work. Retail business can grow bigger in a number of different ways, including expansion to other markets or opening stores in new locations. However, launching an online commerce is the single most productive way to grow your company quickly. According to the report, the global online retail sales should reach almost $2.5 trillion in 2018. It’s a gigantic market and grabbing just a tiny portion of the cake could give your company a major boost. But how can you expand a retail store with eCommerce? In this post, we will show you practical tips to combine offline and online retail business. Let’s take a look! Grow your reach: The Internet allows you to approach global audiences almost instantly. It’s not limited to local consumers, so you can create new audience groups. Lower operational costs: Online stores are extremely cost-effective in terms of business overhead, maintenance, and inventory. Multiple communication channels: While it is true that eCommerce lacks the privilege of face-to-face interaction, compensation comes in the form of multiple communication channels. You can address prospects via email, live chat, online forms, forums, and many other channels. Business analytics: As an online retailer, you have a full set of tools and apps that can help you analyze even the smallest details of your business. 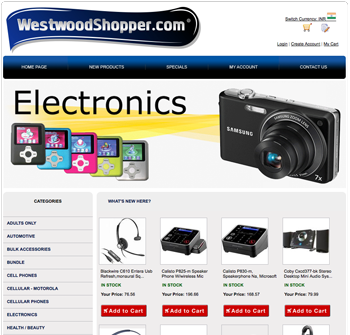 A company website is the first thing users see when they start looking for products online. This means you’ll need a quality design with attractive themes and a friendly user interface. The purpose of online retail websites is to convince consumers to engage, so you need to highlight the products and calls to action. Besides that, you need to optimize a website to rank highly in Google results. Since 93% of the entire Internet traffic comes from search engines, you have to implement the state of the art SEO strategy to be able to outdo competitors. For this reason, try to create top-notch posts because it’s the only way to build website authority and make it look credible in the eyes of the target customers. Mobile optimization is another major issue. People prefer shopping through tablets and smartphones, so you must design a mobile app and make your website fully responsive. A website is an anchor of your online sales strategy, but the vast majority of eCommerce is done through digital platforms such as Amazon, eBay, or Etsy. A report shows that Amazon alone will take almost 50% of the eCommerce market share in the US by 2021. In such circumstances, you just have to create accounts on eCommerce platforms and focus most of your efforts on this sales channel. Facebook, Instagram, and other networks have turned into genuine business platforms a long time ago, so you can use them for retail purposes as well. The secret is to perfectly combine high-quality content with the corresponding offers. If you can engage followers and inspire them with great images, videos, and entertaining comments, you can also expect them to take the final step and buy your products. Digital campaigns represent a nice tactic to activate both the online and offline customers. The procedure is simple: boost your posts and give incentives. For instance, you can give a 10% discount for first-time buyers on your website. At the same time, you can encourage offline shoppers to visit your store using online coupons they can materialize only in the physical store. It’s a win-win tactic for both sales channels, so you should launch digital campaigns every once in a while. eCommerce platform: Platforms such as Shopify or WooCommerce will help you to quickly launch a credible online store. Domain name: It’s not easy to find a representative domain name, but Name Mesh and Bust a Name will help you find the most appropriate solution for your business. Website content creation: We mentioned already that you need a quality content to improve search engine ranking. With the help from A-writer.com and BestEssays, this job becomes much easier. Email marketing: Email is still one of the most important business communication tools, so you’ll need reliable automation software to handle the process smoothly. We recommend you test MailChimp and Constant Contact. Social media marketing: Keeping an eye on social media accounts while doing regular work can be a daunting task. That’s why we suggest you utilize the Hootsuite or Sprout Social. Proofreading and editing: Grammar and spelling errors could ruin your online business, so make sure to consult editing and proofreading services like Assignmentgeek.com.au or Bestessaytips.com. Running a retail store can be a highly lucrative business, but why wouldn’t you expand it online? Digital sales give you a chance to reach out to the global audiences and build a brand new customer base. In this article, we showed you the benefits of eCommerce and how to grow your retail store through online retail. It requires minimum costs and the setup process is rather simple, so you shouldn’t waste the opportunity to give your company a fresh boost! Warren is a marketing enthusiast and a blogger at UKBestEssays, who loves music. If he doesn’t have a guitar in his hands, he’s probably embracing new technologies and marketing techniques online! You can meet him on Twitter and Facebook. Why do we write product descriptions? We could, potentially, just post the picture of the product we’re selling, add the price, and leave it at that. That should work, right? Customers would come by, see the product, presumably recognize it, and decide whether they want to buy it or not based on the price. But what if they don’t recognize it? Posting a simple pic and an accompanying price works well when you’re posting a picture if a t-shirt, but what about when you’re posting a snorkeling mask? Not everyone has been out snorkeling before. In fact, not everyone even knows what snorkeling is. Wouldn’t some kind of product description be useful in that situation? What about when you post something that everyone instantly recognizes, but still needs to know more about before they make their buying decision? Take an Apple MacBook, for example. Everyone knows that it’s a laptop, and just about everyone I know, and probably everyone you know too, can recognize a MacBook from a mile away. The distinct shape, colors, and design are instantly recognizable. Does that mean you can just post a picture of a MacBook and the price and get away with it? Of course not! People want to know the technical specifications of the MacBook, simply known as specs. They want to know what kind of processor it has, how much memory it has, how much storage, what the size of the screen is, and so on. Macbooks tend to look the same within a generation, but that doesn’t mean they’re all the same. That’s why a description matters. Sometimes you should have different levels of descriptions for people looking for different levels of information. Say you wanted to sell some kind of ointment. You could post a simple description telling people what the ointment basically does. But some will want to know the more technical stuff, like what the ingredients are and the potential side effects. You could also include information on where they can learn more about the ointment, such as links to reputable sources and scientific papers. You could separate them into different tabs so people can see the basic description on the main tab, and then click on the other tabs when they decide they want to know more about the subject. However you look at it, product descriptions are pretty important and you will have to write one at some point or other for the products you are trying to sell. “We all agree that writing a product description is a good idea, even necessary, but the how of writing one is where the complexity starts,” says Angela Bates, an essay writer who provides online copywriting services in her free time. While some may consider the writing of good product descriptions an art, there is definitely also a science to it and understanding that science is key. “I think there are definitely some basic rules you can follow to ensure your product descriptions meet a certain minimum standard,” says Andrew Finn, a copywriter specializing in product descriptions. So what is this standard, exactly? To begin with, it is in your best interests that you do not write your own product descriptions if you don’t have any experience at it. Get the best essay service you can and let them do the work for you. It’s worth the money. Here are a few tips on how to write a killer product description with some essay services that can help you nail the whole process. Without a clear picture of who is buying your products, you won’t know how to write a good product description for them. For example, if you’re selling a bear oil kit, your main customers are probably metrosexual men who believe being manly comes with good grooming. You should reflect these values in the way you describe your products to them using the right words that rhyme with their buyer persona. Best Essays is a tool that fixates on buyer personas to drive the product description writing process. By clearly defining the buyer persona, you immediately know what to say to them. What kind of brand do you have? What kind of brand are you trying to build? Are you casual or highly formal and professional? Are you sleek and high tech or laid back with a mom-and-pop vibe? Your product descriptions should match the tone of voice of your brand or they will not connect with your customers very well. Here you would do really well with UK Best Essays and Superior Papers, which have experience in the field of developing brands and streamlining all of a business’s writings to reflect the tone of the brand. With bullet points, you break up really long product descriptions so that they are easy to read, but more importantly so that they are easy to scan. Your customers probably don’t want to feel like they are reading an article when all they’re reading is a product description. They want to be able to quickly look for the features that matter most to them so they know whether they want to buy the product or not. Scholaradvisor really gets this. It’s a known fact among marketers that you can improve your persuasiveness with certain words. Words like ‘Now’, ‘Amazing’, ‘Miracle’, ‘Revolutionary’, ‘Magic’, ‘Hurry’, and ‘Quick’ have an effect on the customer that normal words don’t. Scholaradvisor specializes in getting the right words through so your customers get convinced. Your customers are probably using certain words when they search for products in your niche. When you use appropriate keywords in your product descriptions then you get a better chance of ranking high on search engines when potential buyers search for your products and that improves your chances of selling. A good service to use here is College-paper.org. Their in-depth keyword research will get your product descriptions on the search engines for everyone to see. Ultimately, automating your product descriptions by placing them in the hands of professionals makes the work easier for you. You can then focus on the core of your business, which is sourcing products and selling them. As a technical writer, the content you write is vital to help others understand technology better. Using the right tools can make your life easier. Tools are available for all kinds of different purposes such as writing, screen capture and editing. Technical writers help to explain how to use technology to non-experts, so they must convey complex information in a simple manner. If you are a technical writer or a blogger, it’s very common to add screenshots to help explain how to use a product or an app. There are hundreds of tools available to take screenshots, and Monosnap is one of these. Capture a full screen, part of a screen or a selected window. Highlight important details with text, arrows, and shapes. Hide private information with a blur tool. Upload your snapshot to cloud storage with one click or save it to your local folder and copy it to clipboard. It can be difficult for someone familiar with a complex technical subject to present it in an easily understood format. This is where a custom writing service such as Essay Writing Lab may be able to help. Writers with years of experience in writing about a variety of subjects learn the art of making complex ideas easy to understand. On the pricing page of this site, you can use a live calculator to work out a quote. RoboHelp by Adobe Systems is a Help Authoring Tool (HAT). It helps tech writers to develop projects and render them across various formats. With RoboHelp, you can generate output in the form of an eBook, mobile app format, HTLM5 help format, XML, printed documents or WebHelp format. It has a user-friendly interface and offers a free 30-day trial. Sometimes writing everything yourself is impossible when you’re up against stringent deadlines. If you want to hire a professional writer with a Ph.D degree, it’s possible at Edugeeksclub.com. The focus is on superior quality, and there are separate pages for different types of services. It doesn’t matter what topic, level of difficulty or subject you require, you will get the help you need. Using the right grammar and spelling is important when writing technical content. Content that is full of errors is more difficult to read. Grammarly is widely used by all writers, including technical writers. It is available as a free online text editor as well as a free extension for Firefox, Chrome and Safari browsers. The tool will automatically highlight your errors and offer accurate, context-specific suggestions to improve your writing. Expert writers at Essay Writing Land will write for you at affordable rates. You will get support 24/7 and receive your content on time without any problems. The work is guaranteed to be 100% original. You will have the opportunity to get free revisions until you’re happy with the content of an article writing critique. If you need an expert Aussie writer to help you out, you will find many skilled writers at Assignment Geek. You will receive top-notch content that meets and beats your expectations. Only native Australian writers will write your content, and they all have postgraduate degrees from top Australian universities. They combine their experience of writing with your guidelines and ideas, so the content still conveys your point of view. At Aussie Writings, writers from all kinds of different disciplines, from engineering to IT, can help you to write and edit content. The writing team consists of more than a thousand writers, each unique in a specific sphere. The editing stage of the process includes polishing style, cleaning up format and checking references. Rigorous quality control ensures originality. On the Best Dissertation website, writers have university degrees from the UK or the US. You do not have the option of selecting a specific writer, but various samples are available on a wide range of subjects that you can download as a PDF. This offers insight into what type of writing is available and the standard of authorship. The company also offers proofreading and, editing services. At Pro Essay Writing more than 750 native writers with Masters and Ph.D’s are available to write content for you. Receive regular bonuses and discounts for using the site. When placing an order, you need to specify all the details, including the exact length of content you require. Vague instructions hamper the progress of the writer. Technical writers work in many different industries and have to generate quality content. They must be able to take difficult concepts and make them clear to readers, using good grammar and language that flows. With tight deadlines and the importance of clarity, picking the right tools helps you to generate the type of quality content that keeps readers coming back for more.